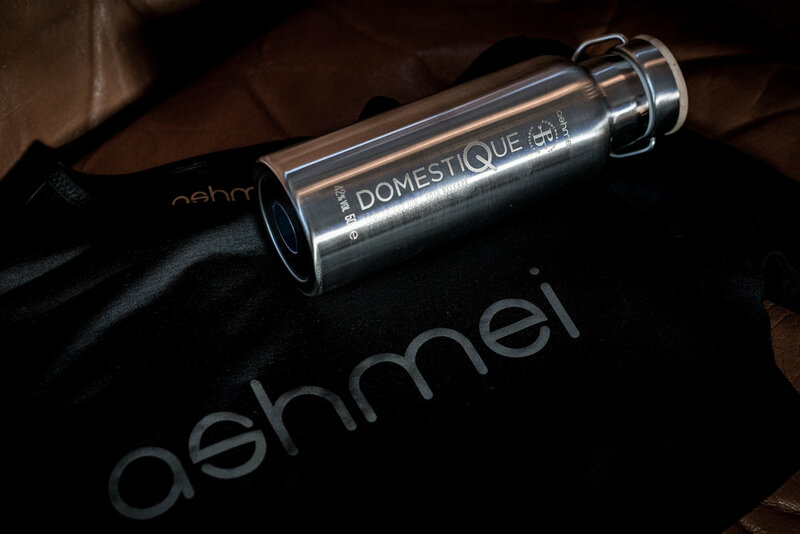 The two Chiltern-based companies pay homage to the world’s greatest cycling tours with their ‘Domestique’ gin which comes in a custom engraved stainless steel bidon. Once the contents have been consumed, give it a rinse and fill with water (or whatever liquid takes your fancy)– it’ll fit in the bottle cage of your favourite bike. Looks like an essential Eroica or Tweed Run accessory! In terms of the gin itself Domestique “leads with a fruity, citrus and juniper nose and a subtle palate that blends sweet and savoury.” It’s been created using both traditional pot and vapour distillation processes. They’ve combined all three Grand Tours in the ingredients by selecting botanicals such as French hops, Spanish orange and Italian rosemary. There are also Californian raisins and Belgian angelica, not to mention Chiltern rosehip foraged from the estate where Ashmei is based. You can buy the special edition 50cl bottle exclusively from the Puddingstone Distillery for £45. This is a strictly limited edition of only 200 laser engraved stainless steel bidons.